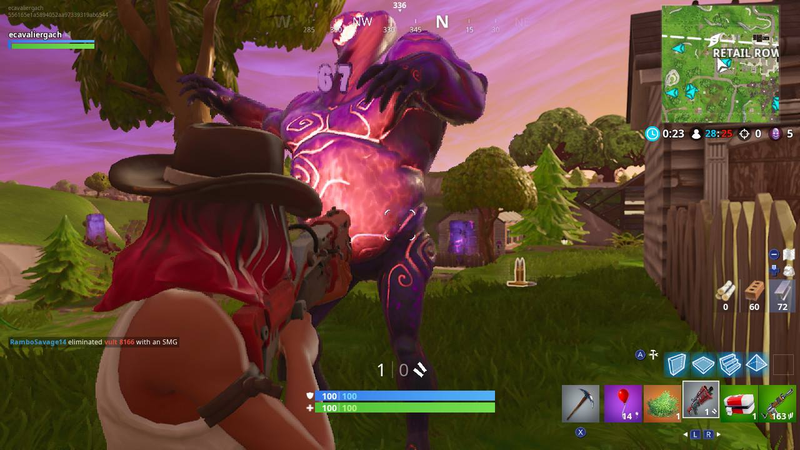 For the last couple weeks, cube monsters have been rampaging through Fortnite matches (don’t call them zombies or you’ll hurt Epic Games’ feelings). But on Sunday, they, along with their namesake, disappeared from the game. It was beautiful, but I was sad. Cube monsters have been my favourite thing to happen to the game since the introduction of the game’s 50v50 mode nearly a year ago. So I was relieved when I woke up this morning and learned they’d be sticking around for a little bit longer in the game’s new limited time mode, Team Terror. 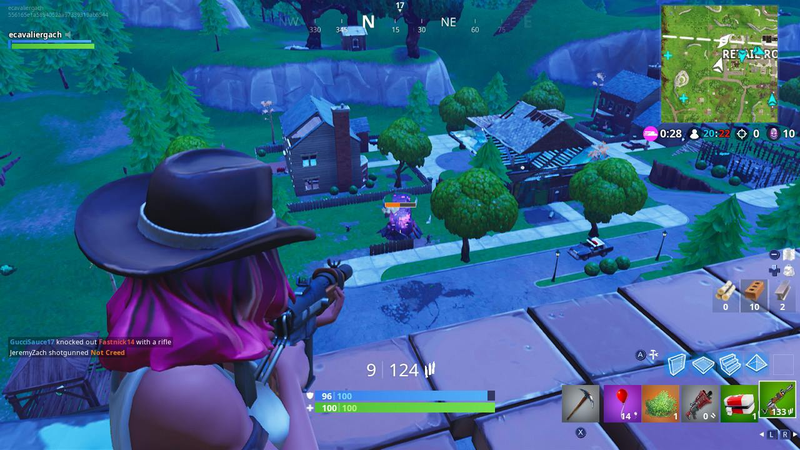 The same way 50v50 helped open up more possibilities during matches by making you just as likely to be surrounded by allies as enemies, cube monsters also add a nice distraction from the normal grind of racing toward the centre of the map while people snipe at you from their scrappy towers. It almost makes Fortnite feel like a MOBA. Almost. Even with tonnes of aggro monsters running around, the game is still distinctly a battle royale shooter. At the same time, having hordes to farm for shield boosts, extra ammo, and the occasional rare item opens up an alternate path to getting the W. Farming monster spawns after a circle closes with a bunch of strangers, only to encounter a squad from the enemy team and have all hell break lose, is some of the most fun I’ve had in the game in recent memory. Most of all, the presence of monsters really cuts out the downtime in between looking for enemies to shoot at.